Needless to say, car shopping is a tiresome venture. Not only do you have to contend with the wide array of vehicles in the market, but you have to be prepared to engage with crafty salesmen whose ultimate objective is to get a hold of your money. From the minute you step into a car dealership, you are effectively fair game to these salespeople, especially if your visit happens to coincide with the end-month period when everyone is striving to meet set targets. Interestingly, you may also notice that it is usually the car dealers who deal with the slow-moving car models who are most desperate to clinch a sale and hence really eager to turn on the charm. To be fair to car dealers, this may not always be a lie as there are instances when impending price hikes may be anticipated in a few days or weeks. However, in most cases, this is simply a clever ploy to hasten your decision making especially if the month is nearing a close and the dealer needs to close the sale quickly in order to reach his/her set targets. Do not be fooled by this old ruse. Instead, check with your peers, experts, or dealers of the car brand that you are interested in so as to ensure you secure the best possible deal. The probability of a car dealer giving you an accurate due date for your vehicle is indeed low. To arouse your interest in the deal being offered, a majority of them tend to shorten this time frame and will have you believe that you will be getting your car sooner than expected. And after your signature is appended on the deal and the vehicle booked, you will soon come to the realization that the promised due date is unlikely to materialize. To get around this predicament, some dealerships have introduced online tracking systems where clients can log in to view the status of their booking in order to get a realistic idea of the actual date when the car is likely to be in their possession. It is advisable to always cross check the actual waiting period with fellow owners and buyers whenever possible. Undoubtedly, most car dealers make money by the additional sale of car accessories to their clients. And to this end, they dangle veiled threats such as the possibility of the warranty being voided if such accessories are sourced from elsewhere. Is this car dealer telling the truth?! In fact, some are notorious to the extent that they usually include some standard accessories in the vehicle’s invoice and unless you are really keen, you may end up unknowingly paying for them. Such accessories may include scuff plates and floor mats which are usually much cheaper when bought elsewhere. If you wish to install music systems, you stand to get a much better choice and range elsewhere and since most systems now come equipped with snap connectors, you do not have to worry about voiding your vehicle’s warranty as its original wiring will not be tampered with. It is prudent to list all accessories that you would wish installed in your car and then contact a reliable accessories dealer. This way, you are guaranteed the best possible prices. Unscrupulous dealers have been known to try and make money even from number plates by charging a much higher fee for them. You have the right to refuse and instead get your own plates done outside although these have to be affixed before the vehicle leaves the showroom. However, the good news is that there are dealers who can throw in a few accessories for you at a discounted rate. Such deals should always be taken advantage of. Many vehicle insurance companies in South Africa collude with dealers in an attempt to coerce clients to only buy a particular insurance brand which often commands higher premiums. So if you have the patience and time, you are likely to secure better deals elsewhere and have your vehicle insured by an insurer that you choose. And if you have a no-claim bonus from your previous vehicle, it is advisable to transfer it to the new car. This is yet another money-minting tactic that is employed by most car dealers. What most people are unaware of is that they have plenty of time to decide whether to go for an extended warranty since the regular one that comes with the vehicle often lasts up to two years. Therefore, while an extended warranty is generally an excellent idea, it is not mandatory when purchasing the car. It can be bought at a later time and even better, at a bargain. And if you are unlikely to be servicing your vehicle through authorized dealers after the expiration of the original warranty, an extended one is surplus to requirements. Usually, dealers will lie to you that such a warranty’s coverage is total just like an original one but this is far from the truth. For instance, running parts that experience tear and wear such as brakes, clutch, and electrical components do not fall under the scope of this warranty. 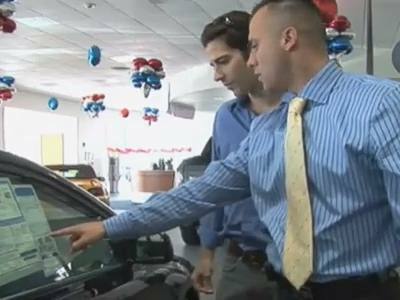 A large number of people still visit car dealerships braced for a fight. And while there are those who relish the challenge, almost as if they are trying to outwit a rival, nothing will make you happier than driving away from the showroom with the car of your choice and thinking that you outwitted the dealer for an excellent deal in the process. Knowledge of the above outlined lies and half-truths should definitely stand you in good stead as you maneuver this often treacherous process.